One week til Open Studio Tour North County!! Please come visit me and check out my work if you can!! Get your guide and visit all the wonderful artists here in town! I will have original work, prints and note cards for sale!!! I am one of those people who like to do everything creative! My brain swirls with ideas! I can’t sit still and have to be doing something whether it be sewing up some new bag designs, creating some t shirt art design to even cooking! Now I have added another fun thing which I have not done in ages! I am first and foremost an artist. I took every art class available in High School. Art Classes in College and then my first job was being an Illustrator for an automotive design company in Michigan. Many of my co-workers would ask me to draw their kids and pets. I was into using color pencils and graphite pencils. Then over the years got into working with clay and then sewing which then became my business. A few months ago I dug out an unused canvas that was buried in our garage. I thought, “Yea I am gonna start painting!”. I started with one of my favorite subjects. My dogs and chose my number one boy, Finn! 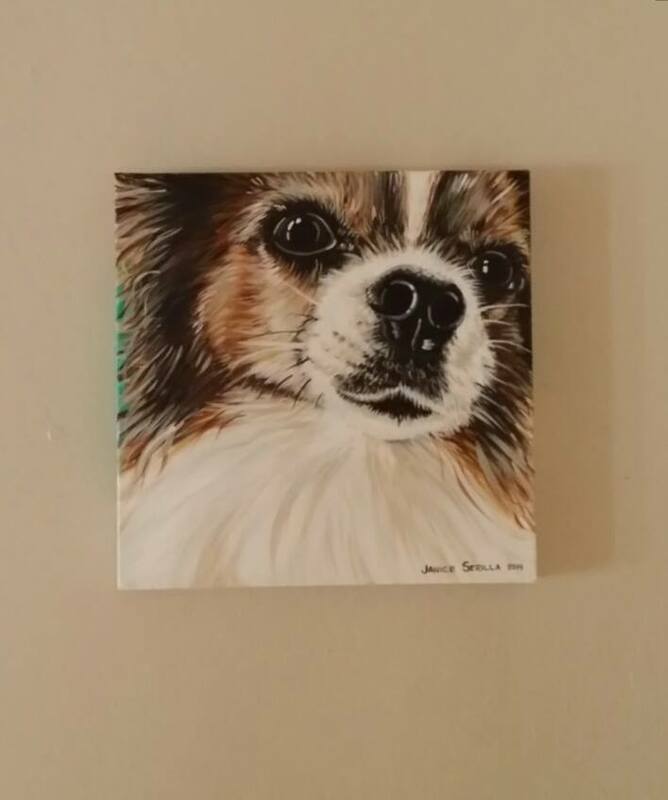 After drawing him onto the canvas, I bought a box set of acrylic paints from our local art supply store and began to paint. I was clumsy and it was very awkward at first. Being use to working with lead pencils back in the day, the paint brush was uncomfortable. I got over it pretty quick and these are my first 3 creations! Ready to buy some more canvas and get to it!! I like to use fun image close ups! my second painting of my dog Eagan. 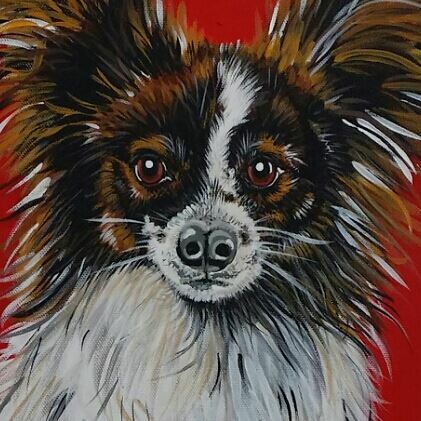 my third painting of my dog Candy! Valentine is nearing us! 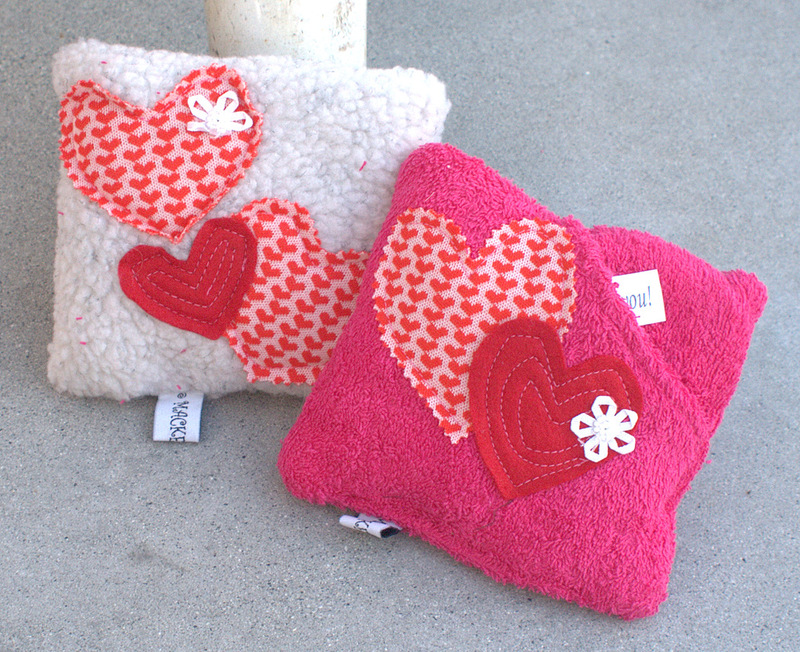 Why not get your sweetie a cute little mini valentines pillow with a love note inside! A cute little gift that you can add to your Valentines gift of chocolates, lingerie, wine, roses, etc………………………..
You can add some jewelry inside the pocket with the love note for a very special surprise!!!! OOOHHHHHH……….yea!!! Good idea right!!!! I have a bunch on my ETSY page for sale. Get one for $8 or two for $12. One show over and now a few more to go! December 1st is the 5th annual –Artisan Holiday Hand-made Gift Sale! All Items $25 or Less!! Join us for the 5th Annual Artisan’s Gift Show to do all of your holiday shopping. Support local artists and find wonderful hand-made treasures at reasonable prices. It’ starts at 10 am til ??? I think 5 pm? But don’t quote me on that! December 7th on First Friday at TOMBOY -More info to follow…………………. Then on December 8th at New Leaf on the Westside. Their will be a Holiday gift sale in the afternoon/early evening. 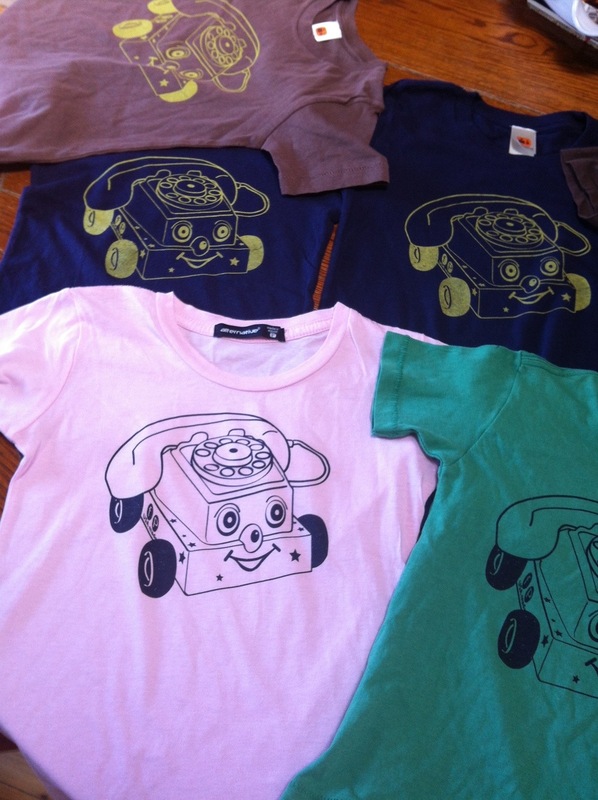 More info to follow…………..
Vintage finds being reincarnated into new finds! this is what you can also make with cool vintage fabric and buttons! 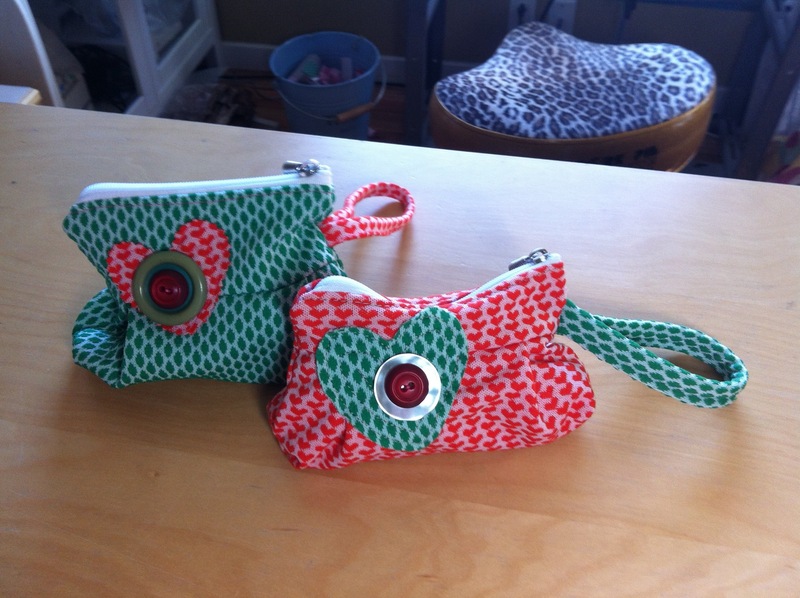 Super cute little wristlet bags for little girls and teens! The fabric was newly purchased by me from my favorite local fabric store. Crossroads in Watsonville. This is 100% vintage never used polyester fabric from the early 60’s! The buttons are from a previous flea market excursion! 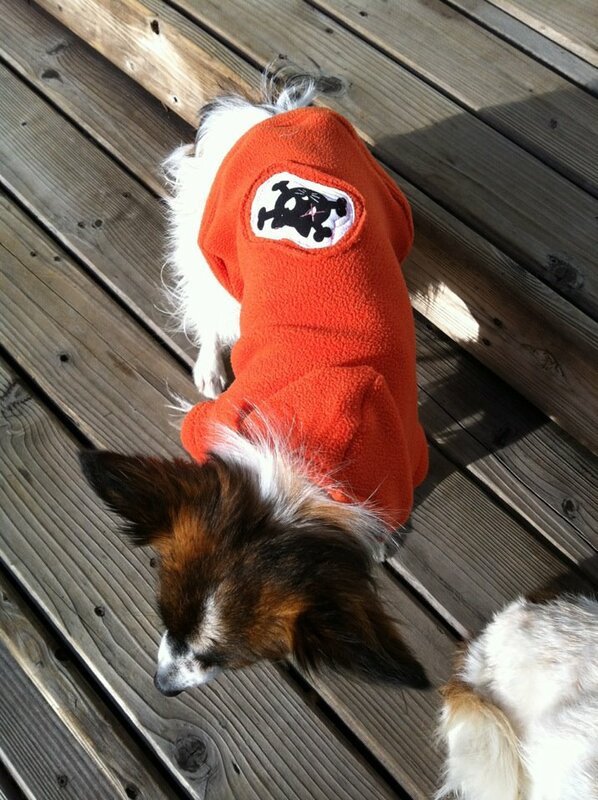 Lined with vintage fleece! Love it! What to do with scraps. This is what you do with scrap crafty supplies. 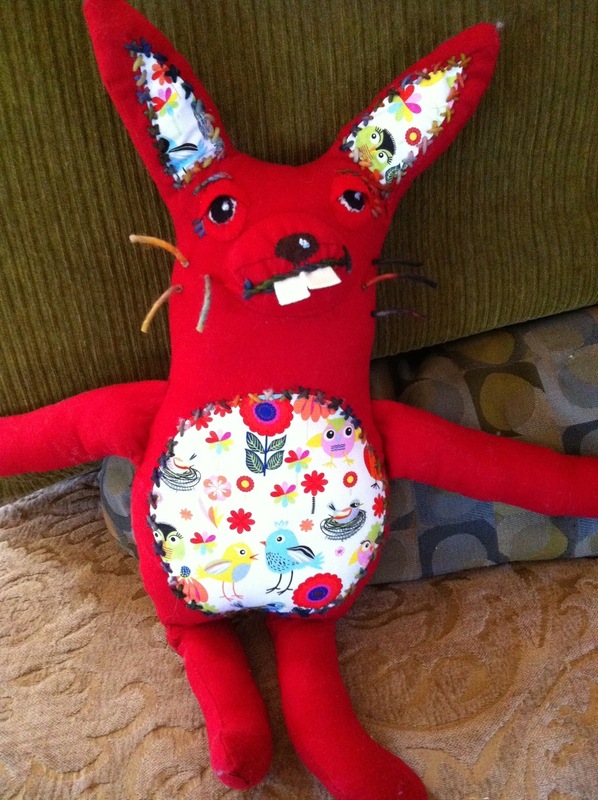 Make a deranged bunny! I made the body with a wool blend fabric. Ears and tummy out of a fat quarter. Felt for face and yarn to trim it all out! Making a cigar to put in his mouth now! Let’s see what you come up with! Post to mackerilla’s Facebook pages! Come get some handmade Mackerilla Pup-Cycled Sweaters, Cat recovery Collars, T-Shirts, Sweatshirts, Patches, storage totes and of course…………..Gimpy Pet dog leashes, collars and harnesses in BOOTH #702 at the Bay Area Pet Expo!!!!! Mari Rodriguez of The Honorable Dalmatian. The Honorable Dalmatian is a retail store that features animal-inspired art, jewelry, apparel and greeting cards, locally-roasted coffee beans and gently-worn women’s clothing and accessories. Every purchase made at The Honorable Dalmatian benefits local animal causes. 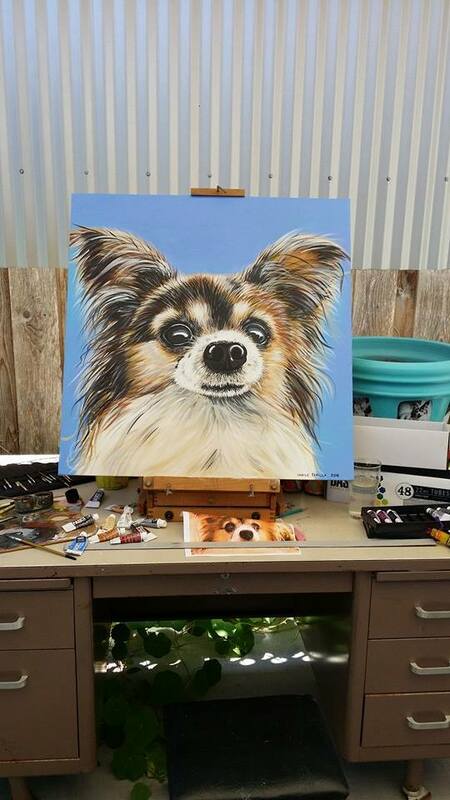 Many of the store’s items are “double winners,” meaning that the artist or wholesaler also donates to animal causes. Check out her shop online! She has great jewelry, T shirts and Art! Come meet us and enjoy all the other vendors at the Expo! Lot’s of activities and pet adoption! Pinterest is a pretty cool site where you can post things you love. Set up some “Boards” with different catagories and start Pinning things to your boards. Create your account and start your boards! Here’s the link to my Mackerilla Boards!